Southern California suffered a number of big earthquakes in the early 1900s, a pattern that prompted experts to declare the state an earthquake hazard. But new work shows some of the biggest temblors might have been caused by oil and gas production, not nature. The finding could ultimately change scientists’ predictions for earthquakes in the Los Angeles Basin, and how well they understand man-made, or “induced,” earthquakes around the country. It is challenging enough for scientists to determine whether a modern-day quake is natural or induced, and even more so for one that occurred a hundred years ago. The tools they now use to measure earthquakes were not as sophisticated back then, and historic records are limited. 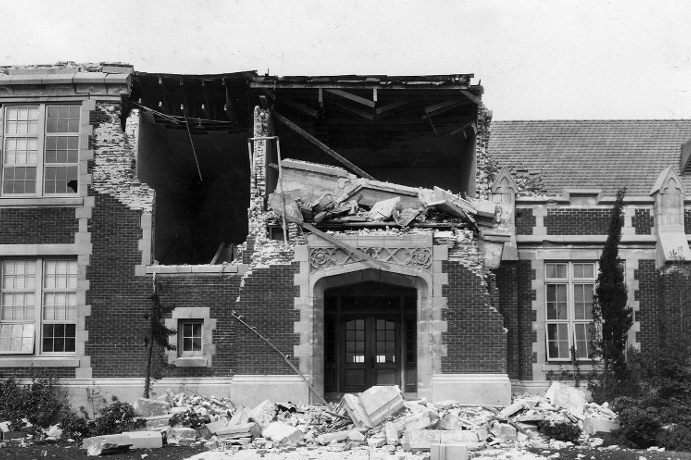 So researchers Susan Hough and Morgan Page at the U.S. Geological Survey relied on a combination of old scientific surveys, crude instrumental data and newspaper accounts to piece together details of quakes in the early 20th century. “It’s not as precise as having seismic data, but that doesn’t mean it’s hopeless,” Hough says.